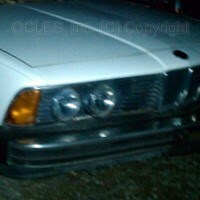 Want to extend a belated shout out to Tanya/OCLES,INC who pulled a seat-back panel off her own e23 to sell me. Had been looking worldwide for a beige replacement panel for 18 months with zero success. She had it in my hands in about 3 days. Outstanding! Who does that? 7SeriesParts.com, a Division of OCLES, Inc. (C) 2003 - 2019 All Rights Reserved.